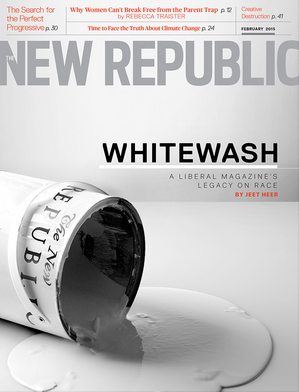 The cover story of the latest New Republic must be admired. It had a big job to do and it did it with flair—correct the impression the magazine is dead. You may remember the commotion a couple of months ago when digital wunderkind Chris Hughes, 28 (from Facebook), the new owner, brought in a new CEO, Guy Vidra (from Yahoo), and the editor and literary editor quit. Vidra announced that his plans for TNR were to turn it into a "vertically integrated digital media company" producing "improved products across all platforms." This brave-new-worldish argot inspired another couple dozen staffers and contributors to disappear. The bells tolled, and it became necessary for the next print issue of the now mostly digital New Republic to make a case for continuing to exist. That next issue has finally arrived. A lesser magazine would have insisted it had not broken faith with its hallowed past. TNR looked over its past and repudiated it. Not entirely. There's a letter from the new editor, Gabriel Snyder, that claims a powerful heritage of turmoil and reinvention. "The New Republic has always been both in love and at war with its prior self," he reassuringly recalls. "The magazine's [100-year-old] history is rich with abrupt ownership changes, unceremonious dismissals of editors, shifting policy positions, and uprooted headquarters, all accompanied by masthead upheavals." In other words, the more things change . . . But TNR doesn't stop there. The cover announces in big, bold letters: WHITEWASH. This headline continues in smaller print, "A liberal magazine's legacy on race." The liberal magazine is the New Republic itself; the legacy, as perceived for the New Republic by a Canadian writer I hadn't heard of, Jeet Heer, is disgraceful. Heer explains that he's responding to a debate that's been waged online since the shakeup: "How do we reconcile the magazine's liberalism, the ideology that animated the Civil Rights revolutions, with the fact that many black readers have long seen—and still see—the magazine as inimical and at times outright hostile to their concerns?" Reconciliation—in Heer's view—is a big job long overdue that demands fresh young minds unblighted by ancient habits and attitudes. He traces racism at TNR back to the magazine's earliest years, when the "progressive attitude toward race" the editors thought they were sporting was fashioned by "privileged white writers [who] framed justice for black America in terms of what was good for white America." Evidently the magazine dripped condescension and what Heer calls "jarring insouciance." He recalls a 1921 claim by Clive Bell (brother-in-law to Virginia Woolf) that "niggers can be admired artists without any gift more singular than high spirits; so why drag in the intellect?" 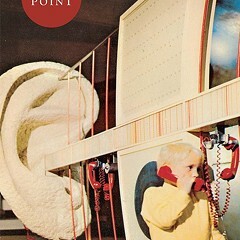 Comments Heer, "The magazine was trying to be modern, vernacular, and street smart. But on a deeper level, the magazine's writers seemed to be going out of their way to assure readers that while they took up the cause of political parity between the races, they weren't so naive to accept blacks as social equals." Well, we all know that type. Heer concedes a case can be made that between the late 30s and mid-70s the New Republic covered the civil rights movement as well as any white magazine. But then two things happened. The movement shifted from a clear-cut battle for legal rights to a much more complicated and ambiguous battle for equal social and economic standing. And in 1974 the "neoliberal" Martin Peretz bought the magazine. Again, we know the type, the white man so certain of his racial rectitude that he brushes aside liberal pieties to tell it like it is. Peretz had a weakness "for melodramas illustrating black cultural pathology," says Heer, and a weakness for male writers from Harvard and for writers who broke the rules to write him melodramas. "The core problem with Peretz's New Republic," writes Heer, "was that [its] imaginary [i.e., idealized] readers were unquestionably white. It was hard to imagine black readers picking up the magazine, let alone dreaming of writing for it." And so, says Heer, good riddance to the decades of hoity-toity honkyism at long last feeling the business end of a broom. "Harvard diversified over the decades, the New Republic's staff did not," says Heer. "Its masthead remained largely demographically unchanged, replicating itself generation after generation." If this was the staff that just marched out the door, who shall miss them? The task at hand, says Heer, is to find "writers who aren't just talking to an imaginary white audience but are addressing readers who look like the world. The magazine has to avoid the temptation to be an insular insider journal for the elite . . ." He calls for "analytical intelligence . . . joined with grassroots reporting." Who doesn't want that? It's too soon to say how effectively Heer carried out his assignment. If you, like me, were a longtime reader who thought about canceling the subscription but didn't bother, are you now bewildered that the New Republic didn't clean house years ago?